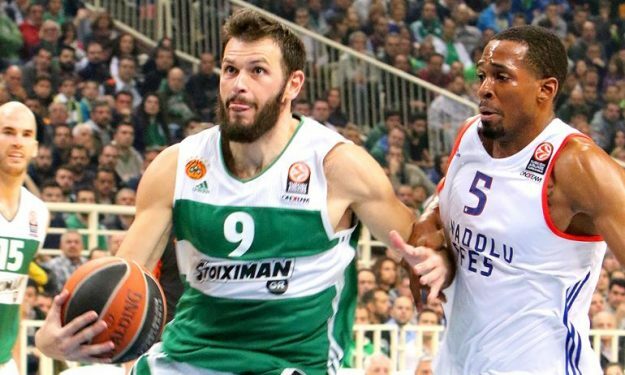 With Dimitris Diamantidis retired, Antonis Fotsis is expected to sign a new two-year contract with Panathinaikos and probably conclude his career as the captain of the Greens. According to SDNA.gr, Fotsis and Panathinaikos already have a deal that will keep him on the team until the summer of 2018, when he will be 37 years old. Considering the fact that Fotsis is also a fan favorite, it’s obvious that the deal will become official soon. After all, Fotsis is the only veteran left in the team roster from the Obradovic‘s years, he made his debut with the team back in 1997, when he was 16 years old and despite leaving for Memphis, Real Madrid, Dinamo Moscow and Milano, he remains one of the icons of the Greens.